Since 88 Scott launched their new release of suites, the St. Lawrence Market project’s momentum hasn’t let up. It’s proving so popular that 60 suites were sold in October alone and now the 525-unit landmark is over 75 per cent sold. That’s mighty impressive for a project that just embarked on construction. The Concert project has a lot going for it, such as its location directly southeast of Yonge and King Street. 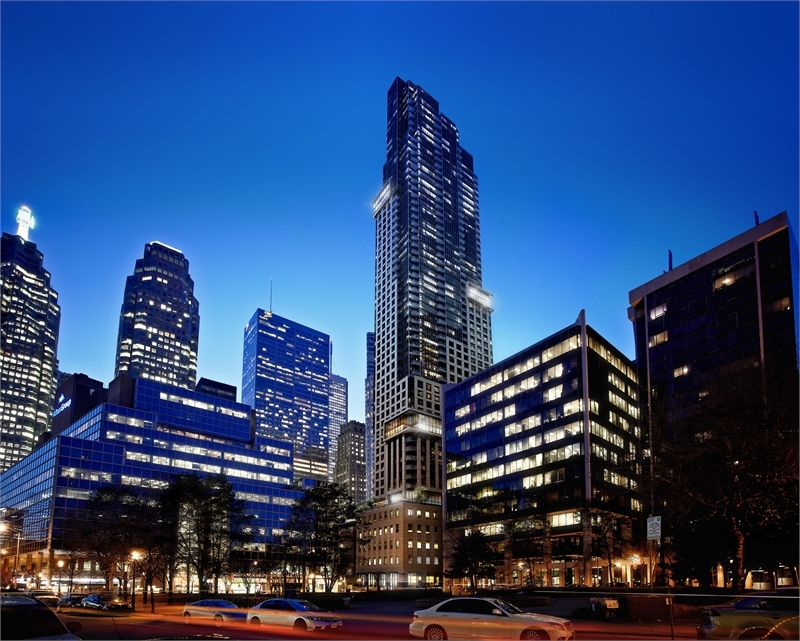 Steps from subway and streetcar lines, the Financial District and St. Lawrence Market, the condo calls the core of the city home and comes with many urban amenities. It even earned a perfect rating on Walk Score. Plus buying a suite in a convenient location just got easier. 88 Scott has a flexible payment plan that lets purchasers put a 15 per cent deposit down in the first year and 10 per cent upon occupancy and is also offering $10,000 to 20,000 off the purchase price. Though the building will be in an established and historic part of the city, the condo promises to be its own little neighbourhood with countless on-site perks. On street level, the structure will be equipped with a multimedia news cafe. Located on the sixth level, right above the podium, the “Core Club” features a fully-equipped weight room, aerobic lane, yoga and spin studio and a seamless-edge pool. There’s also change rooms, showers, plus a steam room and sauna. For unwinding, there’s also a billiards room, social lounge and a private screening room too. 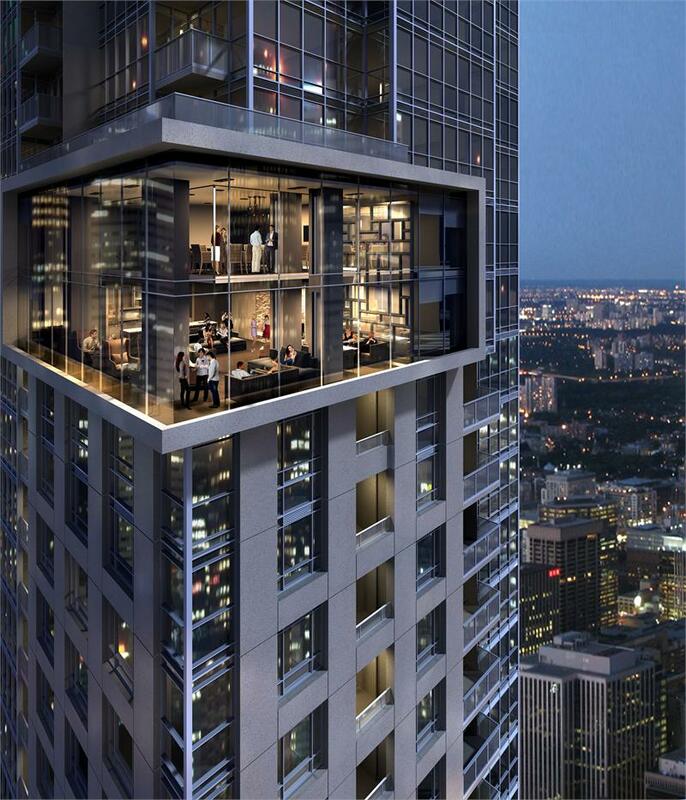 The building takes city living to new heights with the two-level Sky Lounge on the 46th and 47th floors. Entertainers will appreciate the party room, equipped with fireplace, bar, caterers’ kitchen and private dining room with a view of the city and the lake. Designed by IBI Group and Page + Steele, we’re eager to see what the tower will look like once complete. Suites start from $385,900. For more info email 88scott@concertproperties.com or call 416 216 8588.